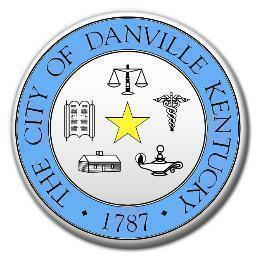 The new Danville City Commission doesn’t want your opinion (or mine). 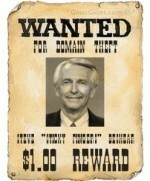 This new reign has decided to “do the people’s business” unassisted by the citizens they are supposed to represent and serve — according to an article in a local Boyle County newspaper on Tuesday. To better facilitate the “doing” of this public good for us, the commissioners have cut the number of opportunities for public comment during their meetings to only one. When is that singular segment of public involvement in the governance process permitted? AFTER the business segment. So you (might) get a chance to speak after they have already made their decisions and have taken action (on the primary agenda items) and before the routine tasks (you know, items like the reading the payment of the bills and updates on sanitation projects). That really makes you want to show up and “get involved” — doesn’t it? The timing of the “public comment” portion of the meetings shows how much they care about public input on the agenda items. If you think your concerns are going to be considered… think again. But no worries, I’m sure they will take real good care of your best interests — without your bothersome input. Perhaps, discouraging public participation is their goal. Or, perhaps, these public servants should remember that they were not elected to serve only those with whom they choose to socialize (and therefore hear in full in other settings) — but rather to serve the public as a whole. To accomplish that, they need to HEAR the public in a public forum… even when doing so may be disruptive to their process. I’ve been there when the commission meetings have been hijacked by certain individuals — and it is annoying — but limiting everyone’s opportunity to speak is not the best way to handle problems with *some* individuals. Governments should not regulate everyone and squash all rights to control the few. Those situations, and those people, should be handled individually. Sure, that takes more savvy and it is more difficult than adopting a blanket restrictive measure for everyone — but the easiest solution isn’t necessarily the right one. Goodness knows I can be disruptive myself (especially when I’m irritated), but if I make a scene in a public commission meeting, it shouldn’t give the commissioners the right to restrict YOUR ability to talk and be heard…should it?